6Sigma.com offers Lean Six Sigma Certification and Training in Lisbon, Portugal for lean six sigma courses like: White Belt, Yellow Belt, Green Belt, Black Belt and Master Black Belt. The unemployment rate of Portugal rose last year in November and the two month low it witnessed recently has now gone up again. The rate stood at 15.4% in November and the total number of unemployed individuals rose to 713,700 from 696,300. Lisbon has been one of the cities where opportunities are still very versatile, and many sectors are offering beneficial employment options. Many organizations have set up base and hire exceptional candidates that stand out among the rest, and the filtering of candidates is very strict. Individuals that are looking to get established in Portugal, especially in Lisbon, need competitive skills to make their presence felt even on paper when an employer comes across their resume. The Six Sigma Certification is a methodology that can be easily implemented by any company in order to optimize business processes. The training program provides individuals with skills that can help them perform all their organizational duties and serve as an integral part of the industry. The principle encompasses a number of theories, procedures and tools that can help enhance the workings of any process till it becomes absolutely flawless in terms of inconsistencies and errors. Lisbon offers a highly competitive job environment and the high unemployment ratio suggests how tougher it is to bag a good job in Portugal than any other place in the world. 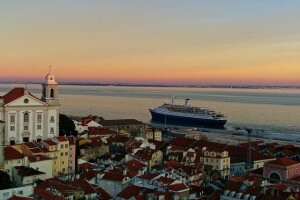 A candidate must have all the skills that can help them stand apart and enhance their professional repertoire if they hope to attain and hold a reputed position in any company within the city of Lisbon. The Six Sigma certification training can help any individual perform their designated tasks much more effectively and the range of sectors the training can benefit is quite wide. From blue collar jobs to highly sophisticated manufacturing design, the Lean 6 Sigma Certificate helps enhance your skill set in a way that can enable you to become the dream employee every boss wants to hire. The tools and techniques that you stand to learn from your training can benefit a number of sectors and industries, and no matter how big or small the task that has been allotted to you, as a holder of Lean Six Sigma Certification, you will be able to perform all tasks much more efficiently. The biggest industry that makes use of Lean 6 Sigma candidates has been discussed below. This is a region of the industries where the training can possibly be the most beneficial- analyzing procedures and products, identifying any glitches in the process, and providing effective solutions for the most crucial of the manufacturing industry. In order to perform all kinds of manufacturing processes with a good amount of ease, getting trained by a training company and attaining the lean six sigma certification can help you get a better job, have higher remunerations and perform better within the workplace compared to other employees. 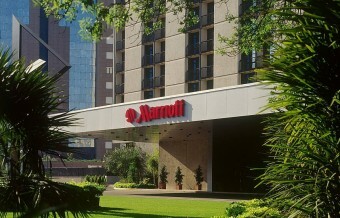 Experience 4-star style and personalized service at the Lisbon Marriott Hotel. Located in the new financial district, a short distance from Lisbon Airport, our hotel is ideally placed to provide guests with easy access to the entire city. Enjoy spectacular views of our palm tree garden and of downtown Lisbon from the private balcony in your beautifully appointed room or suite, or stretch out and relax on our Marriott luxury bedding. Additional perks to enhance your Lisbon stay include floor-to-ceiling windows and high-speed Internet access. Citrus Bar & Restaurant's delightful menu features Portuguese and Atlantic cuisine and a robust selection of local and international wines; sit out on the restaurant terrace and enjoy the Lisbon sunshine. Business travelers will appreciate our 4-star hotel's 21,000 square feet of classically elegant, versatile meeting space, as well as an expert planning and catering staff to attend to every detail. The future of travel is here today at the Lisbon Marriott Hotel.